A lot of people don’t know that something as simple as calling a Tampa plumber in helps to improve your health. Why? Well, for one thing, viruses and bacteria thrive in wet humid environments. So does black mold. Black mold is highly toxic and its spores can be inhaled. Mold produces mycotoxins which can also infect your skin. Depending on the species of mold, the symptoms can range from mild to severe. The most common illnesses that are caused due to exposure to mold and mycotoxins are respiratory illnesses, digestive tract illnesses, and reproductive illnesses. Mycotoxins in toxic mold can affect the lungs and are even known to cause bleeding in the lungs, which can lead to death. Mycotoxins from mold can cause liver fibrosis as well as necrosis, and can also cause vomiting, diarrhea, and can even result in internal intestinal bleeding. As if that weren’t bad enough, exposure to toxic mold can also cause infertility. So, obviously, all of these pathogens are proven detriments to your health, and if you get broken pipe repair done, you might find your health improving significantly. A leaking pipe or toilet in need of repair may give these organisms what they need to thrive. Florida is quite humid on its own, why help it. 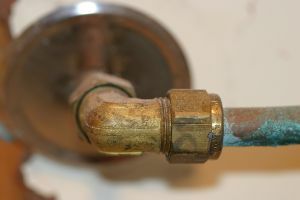 A plumber in Tampa can fix these problems before they become too severe. Although viruses, bacteria, and mold are bat enough, they are only one pest that likes moisture. Household pests such as cockroaches and silverfish also love the warm wet environment that a busted pipe can provide, as do termites. And no one wants them around. So, before they move in, stop the things that can encourage them to do so. Call in a plumber to fix any plumbing leaks immediately. For almost a decade, PUR Plumbing has been your licensed and professional Tampa plumber. Call us today.